Trish McEvoy - 20% OFF Continues! Enjoy the best of 2017 with 20% off till the clock strikes midnight on 12/31. 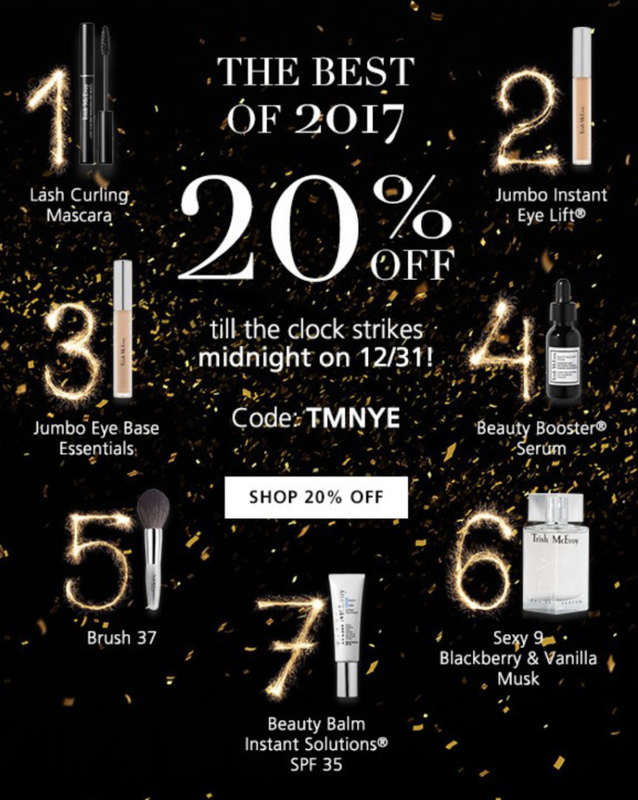 Simply use the code TMNYE. This offer includes Lash Curline Mascara, Jumbo Instant Eye Lift, Jumbo Eye Base Essentials, and more.